One Eternal Day: "Divine love can reverse human catastrophe"
.... The key to understanding the moral universe of Lewis and Tolkien can be found in a brief exchange in The Lord of the Rings, in Aragorn's answer to Eomer, who asks how they ought to respond to the storm of evil thrust upon them. "Good and ill have not changed since yesteryear; nor are they one thing among Elves and Dwarves and another among Men. It is a man's part to discern them." The same vision animates Lewis's Chronicles of Narnia. All of its various creatures (bears, badgers, horses, moles, mice), along with a group of English children, are summoned to rescue Narnia from despotism and restore its rightful line of kings. "I'd rather be killed fighting for Narnia," says Jill, "than grow old and stupid at home and perhaps go about in a bath-chair and then die in the end just the same." 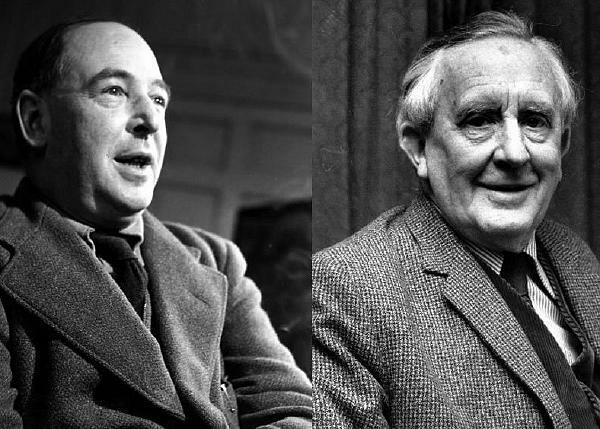 Tolkien and Lewis possessed two great resources that helped them to overcome the cynicism of their age. The first was their deep attachment to the literary tradition of the epic hero, from Virgil's Aeneid to Malory's Morte d'Arthur. What matters supremely in these works is remaining faithful to the noble quest, regardless of the costs or the likelihood of victory "The tragedy of the great temporal defeat remains for a while poignant, but ceases to be finally important," Tolkien explained in his 1936 British Academy lecture on Beowuif. In the end, "the real battle is between the soul and its adversaries." The second great resource was their Christian faith: a view of the world that is both tragic and hopeful. War is a sign of the ruin and wreckage of human nature, they believed, but it can point the way to a life transformed by grace. For divine love can reverse human catastrophe. In the works of both authors we find the deepest source of hope for the human story: the return of the king. In Middle-earth that king is Aragorn, who brings "strength and healing" in his hands, "unto the ending of the world." In Narnia, it is Aslan the Great Lion, who sacrifices his own life to restore "the long-lost days of freedom." In both we encounter the promise of a rescuer who will make everything sad come untrue. Joseph Loconte, "The Long Shadow of the Great War: How J.R.R. Tolkien and C.S. Lewis defied the spirit of the Age," National Review, November 26, 2018, pp. 18-20.